Once your wedding is over then comes your wedding album, what make it look its best are the photographs in it. Those photographs of your wedding are incomparable, your timeless memories which whenever you flip take you back to the moment when you both said your vows…When you said yes, I do. A wedding photo book is sacred book as it is the harbinger of your big day; a wedding photo album is something which takes you down the memory lane whenever you flip through the pages of your photo book. No words can define the emotions and the feelings one go through while going through his/her wedding album. Seeing those pictures of your mother when she got emotional seeing you in your wedding outfit, when your father came to you and gave you that precious necklace and said it’s for you my princess, when your best friend hugged you just before taking you to the stage, the make-up, the hair-do, the outfit now everything related to your wedding is incarcerated in your album and hence your album becomes priceless, precious and sacred to cherish all your life, to share with your loved ones. 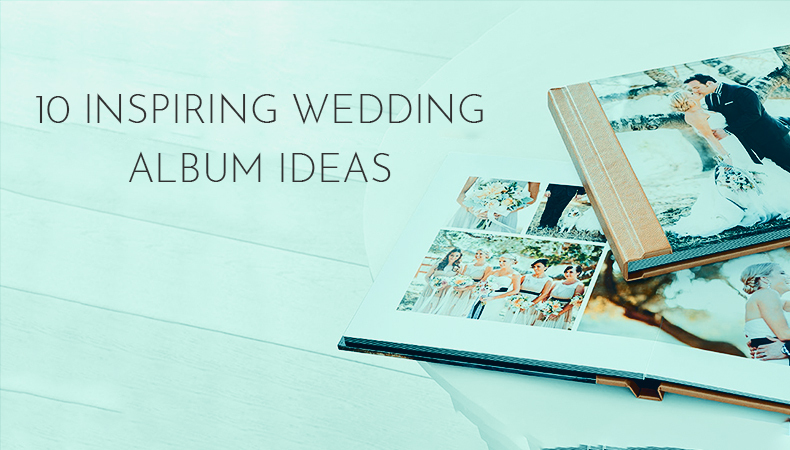 However, to build a wedding album is a task, so many things to consider while building the best wedding album. Some couples really find it difficult to build their best wedding photo book as to them it seems a big task which all photographs to select and which all to say no to… Your photographer must have captured all your must have shot at your wedding. In fact, chances are your wedding photographer must have captured pictures if not in thousands than surely few hundreds, even to sort out the best ones form those hundreds seems a task, and it is actually one, I can bet. I see some couples really get confused when they initially have to make selection, they don’t really understand after selecting few, they get tired. 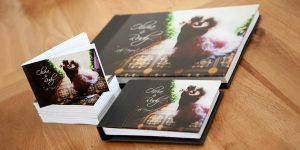 Well, this article is just to tell you that you don’t have to worry about having your best wedding photo book now, as here are 10 inspiring wedding photo book ideas, to help you build best wedding album of yours this season! The first and the foremost tip are not to rush to have your wedding photo book as soon as your wedding is over. There are couples who are good at hastening things, they are so in hurry that the moment their wedding is over they just want to see their photograph book, even there are few who while getting clicked only start asking when will we get the final copies… not kidding at all. So, the first step to build an amazing and enchanting photo book is having patience. Let your wedding photographer relax a while after the shoot. Let him transfer the entire data in his system, let him breathe a little, otherwise what you will get in hasten will not be charming later. You also go for your honeymoon, take a break, relax a while and once you are back from your honeymoon talk to your wedding photographer, ask him how to go ahead with it. The process of building a wedding photo book is one step at a time, not doing everything on the spot. Take advantage of the time which you get after your honeymoon is over. Creating a perfect wedding album is an art, an art which you adore all your life. Give yourself enough time to create that art; you and your generation to come will love your creation. Your wedding album is a big project, so give yourself the time to think it through, don’t hasten things. Also, don’t do it all by yourself, take help from your significant other. Their choice is equally required. Oh, swamped with wedding photographs, not understanding how to go ahead, worry not. The first thing which will happen to you when you will be asked to select the photographs for your final album is you will be swamped with the photos. The first thing you need to do is sort them out. Easiest is, go through the entire library first thing first remove all the duplicates, then ones which are not clear or blurred or the pictures which are not well cropped. Like this you will be able to remove all the unwanted ones which will further be easy while selecting the best ones for the final wedding album. The task of building an album may seem harrowing initially but trust me the moment you will hold your final album in your hand that moment will be overwhelming for you. 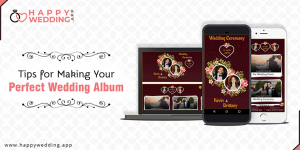 You wedding album is an emotional record, meaning your wedding was full of emotions and moments and all those moments are captured during the event now is the time to record them in the album which you can call your favorite. While selecting your wedding photographs for your wedding photo book make sure that you select or pick the best ones, the ones which are your favorite. Your wedding album should be a collection of your favorite moments. Your photographer may be genius, may be the best in the area, but remember that it is your wedding album you have to select them, don’t leave the task for your photographer just because you think he knows you very well. 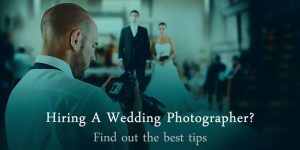 Your photographer must have clicked may be few hundred pictures of your wedding and it may seem difficult to sort the best ones from all of them. Not to worry, here is a trick to sort out the best ones from all the pictures. 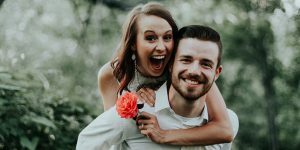 First go through the complete library of your wedding pictures, then select the best 25 these 25 selected pictures should be your absolute favorite the portraits of you and your spouse, now select another 50 – 60 favorites that covers the other aspects of your wedding like your family, guests, etc. Finally, you can select 15 – 20 pictures which you still find you like them. Predominantly the idea is to have photos that represent the big day in a ceremonious way. Your album should consist of all the key moments like the bride walking to the stage, groom getting down from the ghodi, the garlanding on the stage, the moment when the groom held bride’s hand to walk her to the stage etc. Meaning all the “must-have” shots should be in the wedding album. It’s imperative to get images from the vital part of the day, so don’t be in hurry while selecting your favorites. Remember, your wedding album should consist your favorite photographs of your big day, the most striking, uninhibited, unrehearsed, unsolicited, enchanting and amusing. Your wedding album, there are myriads of options available for the wedding photo albums from leather to Gold Metallic, Glossy Album to Matt Finish Album, Handmade to Scrapbook, Fabric to Foil Stamping, but to make it look unique customize your album through distinctive designer elements to make it all your own. These days you can get tailored photo albums; varieties are available to choose from. Only when you will give enough time to your wedding album you will be able to find the best album for yourself. Choose a photo book which speaks of your style, your story, the occasion and the one that befits you best. If you have a budget constraint then it is recommended to let your pictures stay as they are for sometime rather to album them in an ordinary photo book and not liking later. Aesthetic matters!! You must have heard of this saying many a times in your life “A book is judged by its cover” and it still hold true in your wedding photo book also. The cover of your wedding photo album is the key element. Give it a personalized touch, choose the one that you feel represents you completely. This is up to you absolutely to have which cover, may be the one in which you are exchanging the rings, or may be the romantic portrait of you and your significant other captured under those dim lights, or may be the one when your spouse held your hand for the first time to walk you to the aisle, or maybe just a simple cover with your names that speaks of your wedding in a unique yet timeless way etc., you have sundry of options with you, choose the best one for your cover. It’s your story after all let your story begin with a great cover to tell it all. I understand, seeing so many favorite wedding photographs you might be enticed to use all of them to build your photo album. In fact initially it looks tough to sort them out. But trust, overcrowded albums don’t look nice at all. Basically your album size should match to your wedding ceremonies. For an instance if your wedding was an intimate, one day event then you doesn’t need to place all hundreds of pictures in the album just for the sake of placing them. Shorter wedding should have only 50 pages at the most consisting of all the “must have” photos. And, if your wedding was a grand event then you can choose an album with many pages considering all your ceremonies. Also, while laying out your wedding photo album, its better you place one photograph per single page, the ones which are your favorite. In between three photographs across two pages can also do. Placing too many images on each page will actually lose the impact and beauty of the single image you love most. Keep your wedding photo book layout clean, it will allow your eyes to focus on what’s most important. You don’t need to overfill your wedding album; you can also order a proof book of all your shots. Keep it meticulously clean, it will have a good impact when you will display it to your loved ones, they will like it and would be able to focus on the best pictures of yours. Laying out one spread at a time, will look like an effective story told in a poetic way. Each spread in a single page should be related to another page, should not look like fragmentarily arranged, the inclination of your photos next to one another plays an important part in the overall look of your album. Your wedding album is crucial record; manage it nicely, the way the story of your relationship should go…! 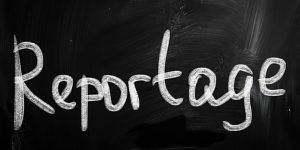 While arranging your spreads just don’t look into the consistency, your wedding album should be a good mix of all the ceremonies, not just speaking of you and your spouse and missing of other details of the wedding. You wedding photo album should have a blend of all, first time eye contact, teary eyes when leaving finally, the entry door of the wedding venue, when talking to each other on stage candidly, a ring being placed on a finger, your couple dance at reception, the cutlery placed on the table at reception hall: the miss these small details as these details can trigger the bigger emotions. It should be a perfect mix of bordered images and full page spreads, you can also use close-ups to make original backgrounds for some of your album pages. All in all, your photo book should not be flat and not captivating. When you will arrange pictures in an order that perfectly tells your story in the best way will give you a feel of achievement later. A perfect mix of varieties, arranging smallest details of the wedding in the wedding album is a great way to relax the eyes. An album carefully crafted is the one which has the mix of all the favorites in it rather having only the consistent images which leads to monotony. Blend it up with the moments of your big day, your wedding day!! 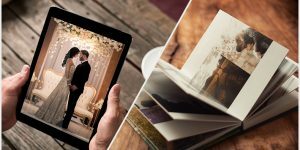 Obviously placing your photos in chronological order allows you to recount the story of your wedding day: the preparations, the dance, the fun, the ceremonies, the departure and the reception—all the key moments have to be included in the wedding album! You already know the sequence of events, but there is no harm going out of the box. Your wedding album should not talk about the sequence of the ceremonies in fact it should be crafted in a way that it is telling your story in an amazing way. Just forget the chronological order of your wedding, focus on details, moments and emotions. You can intersperse your best favorites in your wedding album to craft it exceptionally. And, if the order of sequence that is what you are looking for that you can divide your album into sections to craft your wedding album beautifully! Yes, absolutely, this is your wedding album and you should not resist yourself from being creative. It’s an art crafting a beautiful wedding album. There is no hard and fast rule to follow while creating a wedding album, it should talk about you all in all, your style, your story. Be creative in details, use different layouts. For instance, place a photo of the bride’s outfit between the photos of others getting ready, also you can use a double page layout to showcase a wide shot of the newlyweds dancing, followed by more personal, close-up photos, alternate between black and white and color photos will also add to the creativity. You can have mix of color and black and white album also. Be creative! See whatever you do for making your album more creative make sure that you don’t add too many comments on your photos. More often than not, people use a lot of tricks to make their image look best but sometimes it looks cluttered in fact. You don’t need to clutter your album with tricks and techniques, let it be simple. Let your best photographs speak for themselves. You can add few comments only on the most essential moments photographed. Don’t you talk, let your photographs do the talking! Well, these are 10 inspiring tips which you can easily use to craft your wedding album beautifully, so when you and your people will flip your album they will be mesmerized to see your creativity. Also, your album is an essential record; do not just display it to anyone who can mishandle it. Keep it safe, so that when you both will be old and gray you will be able to relive those moments through those wedding photographs of yours then also. How to pose for couple photography? Why wedding programs are necessary?